I could spend hours sitting next to this woman, watching her making rice paper roll sheets. And then fill those rice papers with noodles, cilantro, shrimps, hoisin sauce, cook them in a steamer, and eat them with an ice cold beer. Home theater enthusiasts have always had a challenge when it comes to hiding speaker wires, but LG has come up with an ingenious solution that takes advantage of the Wi-Fi you already use. LG Electronics today divulged a few of the company's previously announced products that will be on display in time for the 2015 Consumer Electronics Show (CES), which kicks off at the Las Vegas Convention Center on January 6. Aimed at music and movie lovers, LG's Music Flow is a series of Wi-Fi equipped hardware, including battery-powered speakers capable of being controlled with iOS and Android mobile devices. Music Flow hardware has been designed to work independently or in tandem with other wireless devices over a dual-band (2.4/5GHz) Wi-Fi connection, streaming music from the likes of Spotifyor Napster without interrupting a jam session like competing Bluetooth products would. The debut LG Music Flow lineup includes the H4 Portable speaker, which can also be set up with HS7 or HS9 sound bars to deliver a more immersive audio experience; the former promises "seamless HD sound," while the latter touts "outstanding, deep acoustics." Consumers can also pair the wireless speakers with the LG BP550 3D Blu-ray player, which features a variety of streaming services along with the unique ability to push sound from connected CDs or even a USB thumb drive. Owners of LG smartphones or tablets can also use HomeChat to send free text message commands to any Music Flow speaker, while the Auto Music Play feature can be set up to start music playback whenever a device comes with a foot of the wireless hardware. LG has yet to announce pricing and availability for the Music Flow series, but will be demonstrating the new hardware at CES 2015 from January 6-9 in the Central Hall, booth 8204. What's more impressive than this 26-foot long version of Taiwanese artist Hung-Chih Peng's Noah's Ark sculpture is the fact that it's assembled from over 100,000 3D-printed pieces. And what's even more impressive than that is the 3D printer farm that Peng has been using to churn out all those pieces. No single person should wield so much 3D printing power—or inhale so much melted plastic fumes. Ali Julia may or may not be her real name. But to the complex and influential world of Amazon reviews, Ali Julia is a name to be reckoned with. The mysterious Boston woman with an affection for computers and battery chargers is the number one ranked reviewer on Amazon. She sounds a little quirky, too. North Korea is continuing to deny any involvement with the devastating cyber attack on Sony Pictures. But the entire affair just got even stranger: foreign ministry officials have announced through the government's state-run news agency that "we propose a joint investigation with [the US] into this incident." The government then warned that there will be "grave consequences" if the US continues its "groundless slander" of North Korea and rejects its proposal of a joint investigation. Officials also added, "Without resorting to such tortures as were used by the CIA, we have means to prove that this incident has nothing to do with us." We've known for nearly a year that Boeing is working on an understandably hush-hush smartphone project. It's a self-destructing phone for spies called the Boeing Black . 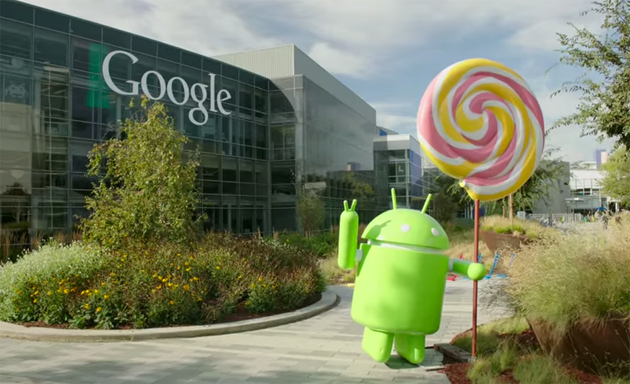 And now we know that BlackBerry is helping—which is kind of weird since the Boeing Black runs on Android. Again, it's all very hush-hush. Vimeo Pro users around the world can finally upload their independent films and time-lapsed sweeping landscape videos to the service in full 4K resolution which can then be downloaded by anyone, according to GigaOm. Videos uploaded in 4K to Vimeo On Demand will be available for paid downloads as well. Samsung's Gear VR is out today, putting virtual reality on the mass market in a way we haven't seen since the Virtual Boy — although hopefully, this time, with more staying power. The Gear VR fits around a Galaxy Note 4 smartphone, magnifying the Note's screen to create the illusion of presence. Carefully marketed as an "Innovator Edition," it's technically a beta product with no final version announced. Even so, it's probably the most user-friendly headset available, and Samsung virtual reality VP Nick DiCarlo succinctly sums up the marketing pitch: "We're very carefully trying to avoid overhyping this, but we think it's going to be amazing." Over the weekend, we got two new reasons to think North Korea was behind the Sony attack — one from security researchers and one from the attackers themselves. But even as the evidence piles up, it’s seeming more and more likely that that attackers will get away clean. Microsoft only announced its special "Work & Play Bundle" of subscription services last month, but the company is already discounting it in time for the holidays. The Work & Play Bundle, which includes Office 365 Home, Xbox Live Gold, Xbox Music Pass, and Skype Unlimited World subscriptions, is now just $149 for the year. Separately, the subscriptions would cost around $450 annually, so It's more than 65 percent in savings for services that provide access to the full Office suite, unlimited OneDrive storage, Xbox Live gaming, music streaming without ads, and unlimited Skype calls. When the New Horizons spacecraft launched, Pluto was still considered a planet. 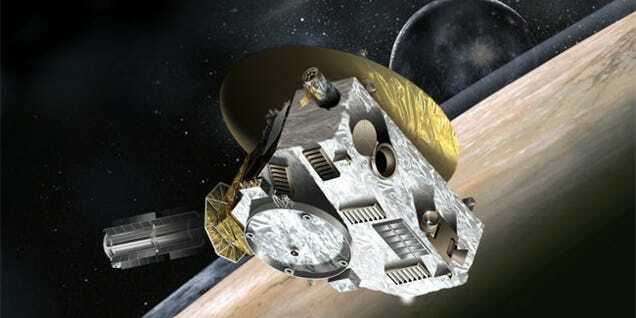 Now, eight years later, the space probe is finally nearing the end of its 2.9 billion-mile journey to Pluto—and has just roused itself from deep hibernation ahead of its arrival.